For your roofing or bin rental and float service needs, call Wilken Roofing & Sheet Metal. Safe shelter begins with a properly installed and maintained roof. At Wilken Roofing & Sheet Metal in Hanover, we understand the importance of roof maintenance. We ought to – we’ve been in the business since 1985. Along the way, we’ve learned that having a considerate and customer-oriented work ethic is just as important as delivering skilled, professional work. When we work on your residential, commercial, or industrial roof, we take the same care and attention to detail as if the work site were our property. We keep a clean work site and our on-site employees respect the property of our customers. 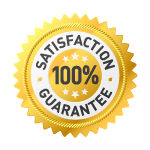 We don’t consider our work complete until our customers are 100 per cent satisfied with the job we’ve done. Whether you have a conventional, flat, or specialty roof, nobody offers you better value and service. We offer new roofing installations of membrane systems and shingle systems, repairs, and preventive maintenance care to extend the life of your roof. Our fully trained, licensed, and insured roofing professionals have years of experience and training to deliver reliable, quality service for you. Turn to us for the installation of skylights, custom flashing, roof replacements and more. Request a free estimate or order an inspection, available for a small fee, by calling Wilken Roofing today. 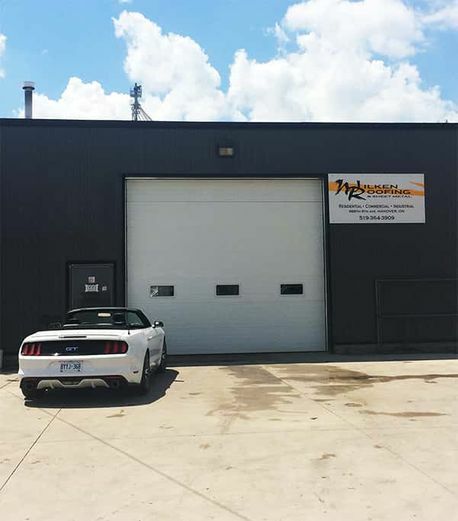 Protect your business with high-quality rubber roofing options. It’s your home, so make sure your roof can endure against the elements. Our past customers have provided testimonials about our skill, experience, and friendliness. Junk Dawg is a bin rental & float service that is owned by the same owners of Wilken Roofing. Providing service to customers in the Southwestern Ontario area, Junk Dawg offers roll-off dumpsters in 20, 30, and 40 yards to accommodate cleaning projects of all sizes. Junk Dawg also has float service for small to medium construction equipment. Whether you need to remove junk or transport construction vehicles, we can help you. You can write to us at junkdawg@wightman.ca or call us at 519 506-3909. "Wilken Roofing is committed to respecting the privacy of individuals and recognizes a need for the appropriate management and protection of any personal information that you agree to provide to us. We will not share your information with any third party outside of our organization, other than as necessary to fulfill your request."